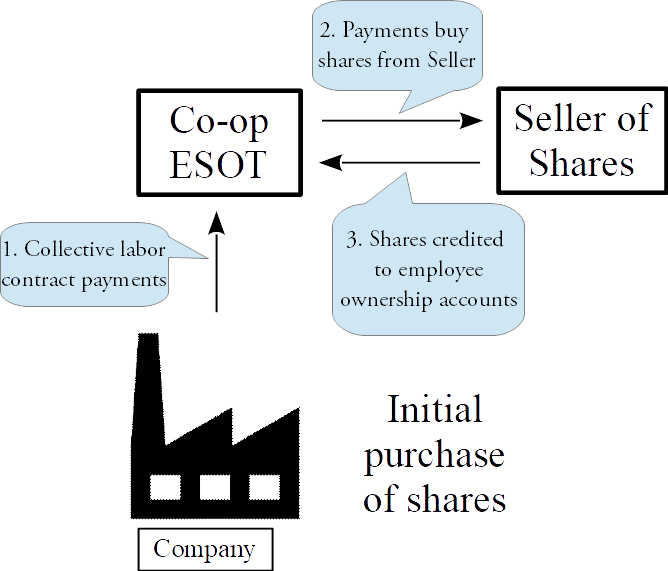 This paper shows how a worker cooperative can serve as an ESOP-like employee-ownership vehicle to make a partial or total buyout of a conventional company. The Coop-ESOP model captures most of the advantages of the ESOP (with some unique advantages of its own) but the tax breaks will depend on specific legislation. The model is designed to be usable without special legislation in most any country with relatively standard corporate and cooperative laws. Click on this link to download the paper.